Let’s talk about one of my favorite resources (aside from newspapers which we discussed yesterday). Manuscript collections are an underutilized resource that provide you rich details not found in typical genealogical sources. The downside to using manuscript collections is that unlike resources readily available and indexed or digitized online, manuscript collections require more time. But with some effort these sources can provide you with facts that will greatly enhance your family history research. First, a definition is in order. Manuscripts are the unpublished papers of an individual, group, business or organization. They can come from a government entity or public official, a business, a non-profit group, religious organization, school, society, institution, membership group, or an individual. Manuscript collections include items written by community members, neighbors, friends and acquaintances; people who we typically ignore as a source for genealogical information. A midwife may have written about your ancestor’s birth. The journal of a neighbor may provide details about a death and subsequent funeral. Insight about your ancestor’s work life may come to light in that employer’s manuscript collection found at an archive or museum. Don't forget that it is through the writings of others that we can better understand our ancestor’s lives. Examples of manuscripts and other materials housed in these collections include theses/dissertations, correspondence, business documents, writings, scrapbooks, autograph albums, birthday books, ephemera, an author’s research for a book, vital records substitutes, court records, photograph albums, diaries/journals, maps, land records, church records, membership organization meeting notes and so much more. Since we are concentrating on female ancestors for Women’s History Month, let’s focus a moment on women’s manuscript collections. These collections are authored by individual women or women’s organizations. One example can be found in the collection of The Indiana Historical Society which includes everything from the correspondence, diaries, genealogies and photographs from individuals and families to the records of organizations such as Indiana Women’s Suffrage Association, Record Books 1851-1886 , Sigma Delta Pi Records 1930-1982, the First Presbyterian Church (Delphi, Indiana) Records 1916-1933 , and my favorite, the Social Sewing Society Records 1851-1862. So that’s all good and everything but where do you find these collections? 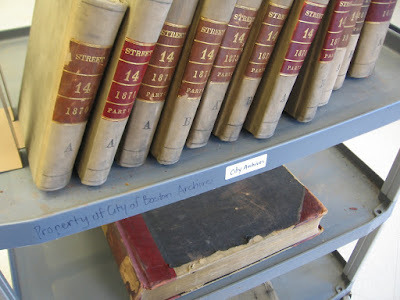 Manuscript collections (and women’s manuscript collections) are located at repositories including public, private, state, and academic libraries as well as city, county, state, or organizational archives. Don’t forget to check out the websites for state and local historical and genealogical societies. Museums of all types exist from the local history museum to museums that focus on an occupation or religion. These museums also contain archival materials. Not all manuscript collections for a certain area are located in that area. Items get donated or acquired by various organizations for all sorts of reasons. That’s why using an archive catalog can help you search a multitude of libraries at one time, regardless of where they are located. There are many different catalogs to use to find manuscript collections but I suggest you begin by using Archive Grid. ArchiveGrid provides a catalog of original source materials held in repositories worldwide. Conduct a keyword search and then from the results list you can narrow your search by archive and archive location. Results include card catalog details as well as the repositories contact information. Haven't used a manuscript collection before? Start now!